I think the App Store will be a big hit – just not necessarily for music, at least not away. The problem: demand and economics. Photo (CC-BY) Rob Boudon. App stores these days seem to have become a magical panacea that creates new businesses, solves long-standing problems, makes you enormous profits, and cures hair loss. There may indeed be some great solutions for software makers that evolve over time, but to get there, we may first need a reality check. The next Propellerhead Reason, the next Ableton Live, the next Native Instruments Komplete will probably come from a company that sees the opportunity for creating mass market “prosumer” music apps. 1. There isn’t much music creation software yet, apart from GarageBand. Without software, this whole debate is academic. Apple’s GarageBand is an early entrant – and that may be part of the problem. On iOS, developers are motivated in part by Apple’s perceived ability to promote their work. What’s the incentive for developers making software that competes with Apple to submit to the Mac App Store – particularly when they have other distribution mechanisms at their disposal (like selling directly to you)? 2. You can’t sell plug-ins. 3. 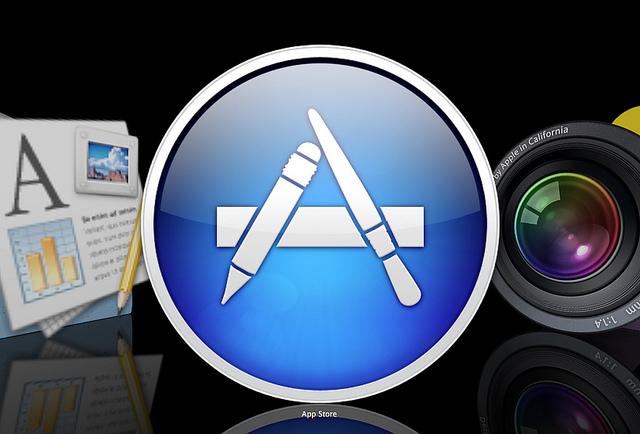 It requires extra work to submit to the Mac App Store, to run on a platform developers can already easily target. Remember, music developers are often made up of small teams or even just one or two people. Even at bigger houses like an Avid or Native Instruments, developer time is at a premium. There has to be a strong incentive to change the development process. 4. Restrictions on development tools, limited copy protection, and Apple’s approval process will scare away some music developers. Remember, developers have to commit time to use the Apple store – and these restrictions could further limit what kinds of software they can make or how they can make it. It’s not up to you whether to commit that time; it’s up to the developer. On the iPhone or iPad, there’s a strong argument for giving up control to Apple – it’s the only way to target these platforms, the platforms are unique, and demand is high. That isn’t necessarily the case on the Mac. 5. Porting from iPhone/iPod touch or iPad to the Mac doesn’t always make sense. The iPad and iPhone platforms have touch input; the Mac doesn’t. And these other platforms are so popular for software toys, single-use apps, and the like in part because of their mobility and the elegant design around that mobility. A Mac laptop or iMac is mobile, but people don’t use it in the same way. That means designing around the desktop computer – and so far, there’s not evidence that users have the same voracious demand for apps there that they do on the mobile platform. 6. Ease of buying can help fulfill demand, but it doesn’t create demand that isn’t already there. Who’s the audience, and how large is the demand for the tool? What application fills that demand? How much are they willing to pay for that solution? How does the cost of development and support compare to how much they’re willing to pay for it? The Mac isn’t the only computer platform out there. And music creation software isn’t expensive, relative to other tools, by accident. It’s expensive because demand has traditionally been limited, and development and support costs are high. It’s possible that James could be right in the long term about music software – it’d be fantastic, actually, in some ways, if he were. But the App Store alone isn’t the panacea. If music developers want to create a world of widely-consumed free and $15 music apps, they’ll first have to create apps that those consumers demand. Once they’ve got the demand, then the mechanism that dispenses the product can indeed be a huge success. But for now, I think it’ll be easier to do that on mobile platforms, given their portability, simplicity, and focus, than on the Mac. And I have to wonder if eventually the best solution for music applications would be one dedicated to the job. Ultimately, the problem here seems to be ascribing the success of software on the iPad and iPhone to iTunes and the App Store. That misses the deeper message of these platforms: given mobility and more personal form factors, people use software differently. That’s a really profound discovery, especially to how music software is used in expression. It’s deep enough that the implications are almost certainly yet be fully realized; some of the greatest potential still remains ahead. Simply grafting a similar store onto the Mac, while it may prove useful, doesn’t make the Mac the same as an iPhone. It ignores the single most important thing about the iPhone: mobility.